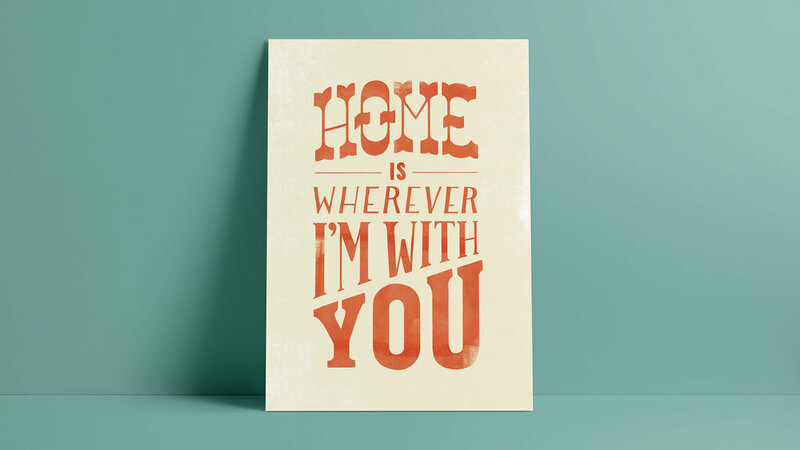 A happy sappy print for the ones you love the most. This hand lettered poster incorporates both digital texture and brushes. Its eclectic mix of letter styles gives a nostalgic, home-is-where-you-can-be-you vibe.